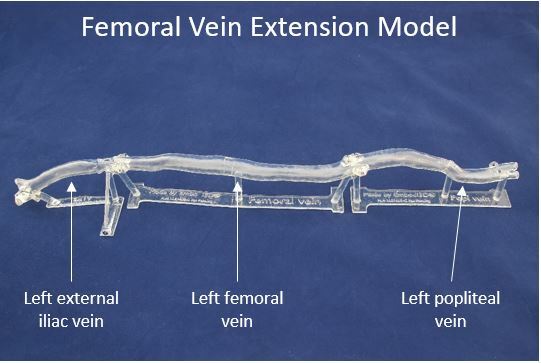 Description: The femoral vein extension model extends the standard IVC venous model to the tibial veins below the knee. 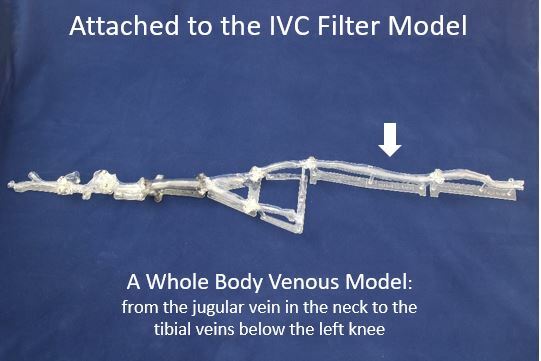 With a left iliac vein adapter part, the femoral and popliteal vein can be attached to the IVC model, giving a complete venous system from the jugular vein in the neck to the tibial veins below the left knee. 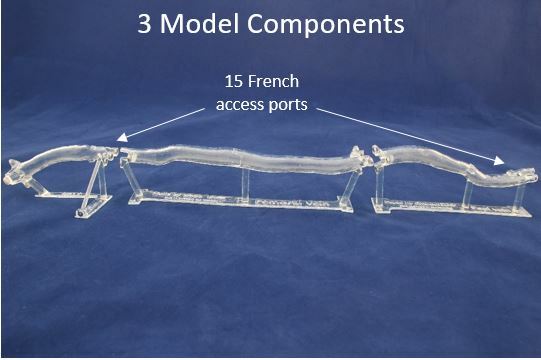 This venous model is perfect for demonstrating thrombolysis and thrombectomy devices, and for simulating lower extremity venous intervention from the popliteal approach. 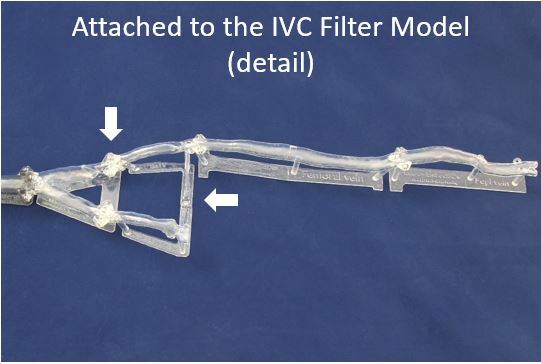 Sheath access points are present at the common femoral vein and distal popliteal vein segments.